This quote from “God of War” has been particularly poignant across my journey with the game, available now on PlayStation 4. Anyone who played the original God of War trilogy will no doubt remember Kratos’ adventures based in Greek myth. His fantastical, blood soaked thrills presented us with unparalleled spectacle that we had never seen before in games. 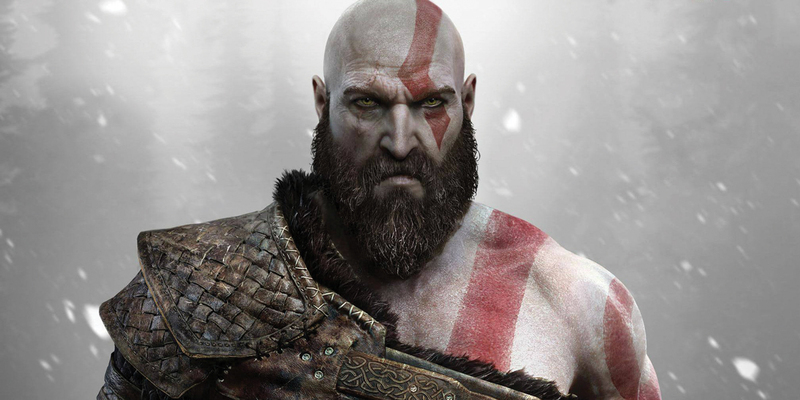 Kratos with his iconic Blades of Chaos would fight with legendary creatures such as the cerberus or the minotaur, and he would even tussle with the gods themselves in unreal ways. In one word those games were legendary. But “God of War” is a completely different experience. Instead of focusing on the epic of myth, it focuses on the intimate and the personal. Don’t get me wrong, the world in “God of War” is still deeply entrenched in myth. This time around however it is no longer based in Greek myth, but rather in Norse mythology, whose snow-covered lands present a stark difference to Olympus. However as stunning of a background as that is, it does not propel the story, only adding a gorgeous backdrop. In “God of War” we are presented with an older, more subdued Kratos, who is on a journey with his young son Atreus. Kratos is trying to teach his son his ways, but also trying to build a relationship with him, which is something he struggles with. This is not the raged-filled Kratos from before. His past still haunts him and he is challenged by who he is, the father he wants to be and who he wants his son to become. The game hinges itself on the relationship between these two characters, which could have proved annoying, but pays off beautifully. Over the course of my over 25 hours with the game, I genuinely started to care for Kratos and Atreus. Their relationship just feels so authentic and relatable. Without giving too much away, the way it develops over the course of the story is gripping and made me yearn for more. However, I wouldn’t buy this relationship if it wasn’t for the game’s world-class writing. “God of War” easily has some of the best writing I have ever seen in a game. Its writing reminds me of great dramas or television series. Every character is written to perfection, from major characters like Atreus to more ancillary characters like Brok and Sindri, the dwarven blacksmiths. The writing is comedic at times, poignant, determined and consistent. Every character you meet in the game has a purpose and they all feel unique. They have personalities, established, logical motivations and dynamic character arcs. All the characters are so believable and seeing them evolve over the story is a treat. Moreover, the world the characters inhabit can be just as compelling. Setting the game in Norse mythology was an excellent idea. The environments are so different from what we have seen before, and the art direction is astounding. Everything from the frosty woodlands to huge mountains has a great aesthetic and really push the hardware. The particle effects are also great, whether it be dust floating in the sunlight or blood flying from enemies. The world feels very personal and almost desolate. It isn’t empty, there are tons of things to do across the multiple realms, but the world lets the characters take center stage. Also, the entire game is presented in one continuous shot, rather than with cuts. It was a risk that could have proved disastrous, but instead it just fits into this world so well. It makes the game feel all the more cinematic. The camera always being centred on the main characters makes you feel even more close to them. Gameplay wise “God of War” also shifts from its predecessors. Gone is the arcadey gameplay of the earlier entries where Kratos would combo his way through hordes of enemies and finish them off with a quick-time event. Just like the story the gameplay takes a much more intimate and visceral approach, which makes complete thematic sense. The camera is very close to Kratos’ back for a more traditional third-person viewpoint, as opposed to bird’s eye view. Kratos also has a new weapon, the Leviathan Axe, with promotes much more close quarters combat. He can hack enemies with his axe in various combinations or he can throw his axe into the enemies. Without his axe Kratos can abuse enemies with his fists and shield then recall his axe to his hands to finish the job. The combat is much more “Dark Souls” than “Devil May Cry” now. When on the battlefield you must be strategic, aware of your surroundings and strike with purpose. Throwing your axe at the wrong time or not parrying correctly can leave you vulnerable. Luckily Atreus is also there to assist you in battle with his bow and arrow to distract enemies. The combat feels great, despite it being so different. It feels incredibly satisfying throwing your axe into an enemy’s face then hitting them with your shield, then calling back the axe and hitting more foes with it on the way back. The game also has some role playing game elements which are new for the series. Kratos and Atreus can unlock new skills by earning experience points, and can be strengthened by finding, forging or buying better gear. It adds a goal for a player to work toward, and rewards you for exploring the large open world, but overall it is one of the least interesting parts of the games. Lastly, the game has an open world approach that is new for the series. It isn’t an open world like “Fallout 4,” but much closer to something like “Tomb Raider.” The size feels right, and even after beating the game there is plenty more to do. This world really begs to be explored and the player will be rewarded with new stories, gear and materials if they do so. “God of War” is everything a modern video game should be. It has rewarding gameplay, interesting characters, a world that begs to be explored and a compelling story. All of this combines to make “God of War” a masterpiece.